President Donald Trump on Saturday tweeted the US won’t endorse the joint statement from the Group of Seven summit, and threatened auto tariffs. 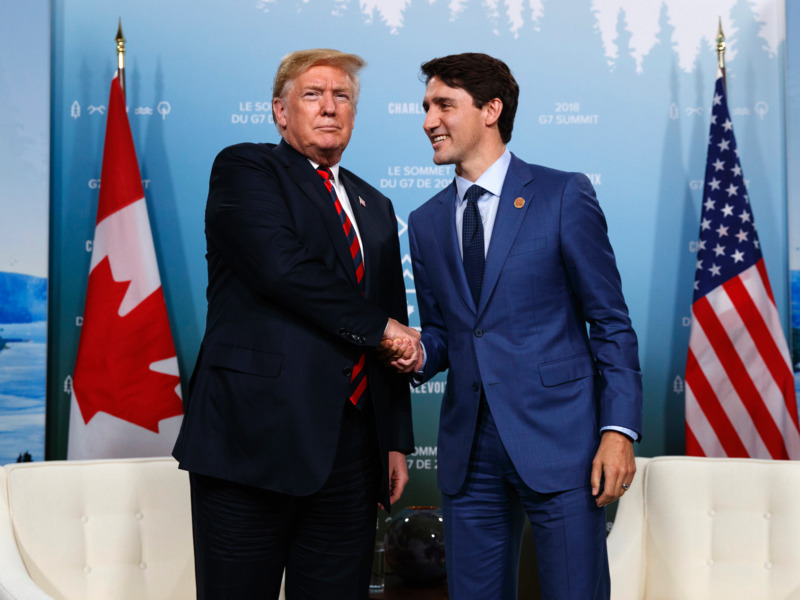 President Donald Trump on Saturday tweeted that he would not endorse the joint commitment between the leaders of the Group of Seven nations who met in Canada this weekend, threatening auto tariffs and blasting “false statements” he accused the Canadian prime minister of making. “Based on Justin’s false statements at his news conference, and the fact that Canada is charging massive Tariffs to our U.S. farmers, workers and companies, I have instructed our U.S. Reps not to endorse the Communique as we look at Tariffs on automobiles flooding the U.S. Market!” he tweeted.